"...learning is ubiquitous in ongoing activity, though often unrecognised as such - Jean Lave (1993)"
The skills and behaviours like working out loud, building one's PLN and PKM, digital sense-making, and such require the sort of meta-cognition skills described above. 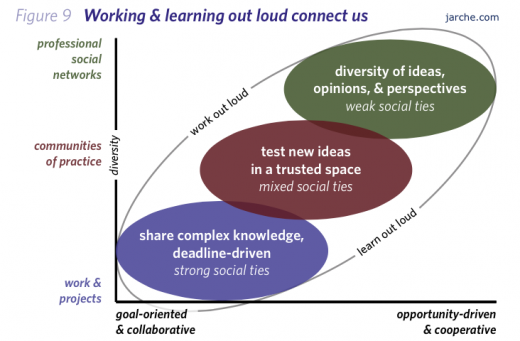 To be able to effectively "work out loud", an individual needs to be able to parse his or her workflow in a manner that is shareable and captures teachable moments as well. This is driven by a fair degree of self-awareness and self-analysis. One needs to reflect on what s/he does to accomplish a task, plan a project, or manage a team and then share the thoughts and moments. The advantage is that such reflection and deliberate narration of one's work and experience lead to deeper insight, robust understanding and a comprehension of what can be improved. It is akin to shining a light on the processes and thoughts behind them, making them visible not only for the world but also for the self for further improvement and honing. 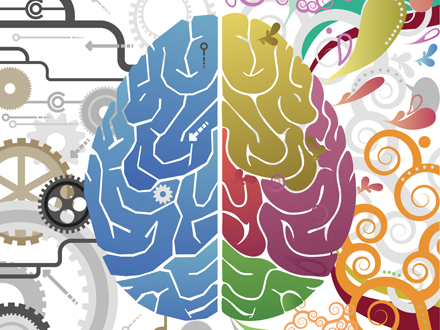 Building one's meta-cognitive skills require deliberate practice and reflection. Given the shifts affecting us today, critical thinking is a necessary skill we need to develop and hone through deliberate and conscious practice. There is ample talk of diversity and inclusion in the context of today's workplace which is necessary. However, we tend to conflate identity diversity with cognitive diversity when in reality the two are different. Cognitive diversity tends to get overlooked partly because it is difficult to spot but even more because of our biases. Given that we are comfortable with those similar to us (externally and also in thoughts and worldviews), we rarely seek out divergent opinions and most often fall prey to our confirmation biases. However, in the context of complex and emergent challenges, having a cognitively diverse set of individuals working on it trumps narrow expertise. Scott Page in his wonderful book, The Difference: How the Power of Diversity Creates Better Groups, Firms, Schools, and Societies proves with rigour and clarity how diversity trumps ability in complex problems. We have reached an era where we may not even meet all our co-workers. Virtual, dispersed teams are the reality today. It is also the age of freelancers. This fabulous HBR article, The Third Wave of Virtual Work by Lynda Gratton and Tammy Johns, traces the rise of virtual work across three waves -- virtual freelancers, virtual corporate colleagues, and virtual co-workers. The point I am trying to make is that this uber connected global world calls for online relationship building and collaboration skills that may not come naturally to us. There are evolving etiquettes (netiquettes) and protocols we will have to inculcate to be effective in our professional and personal lives. While face-to-face interactions are still fundamental to building trust, we will no longer be able to guarantee that luxury going ahead. Building trusted relations through online collaboration and interaction call for a whole new range of manifested behaviours like willingness to share, acknowledging and appreciating others work, participating in meaningful online dialogues and debates, accepting diverse opinions, being generous with our praise, and so on. The most critical is perhaps cooperation. And Harold Jarche distinguishes this from collaboration very nicely by describing it thus: Collaboration is working together on a common problem, while cooperation is freely sharing without any objective. The ability to build virtual relations and work with a myriad range of individuals from different cultures and countries will be increasingly critical in the coming years. It may be fundamental to our success as workers of the 21st Century. The sharing, creating, and debating of knowledge around a domain by practitioners of the said domain is the hallmark of CoPs. As is evident from the diagram, when we move to CoPs, we have a mix of strong and weak social ties focused around a specific domain. I consider CoPs to be a subset of my PLN. Most individuals--knowingly or unknowingly--belong to a number of communities. The participatory skill required for this is important today--both within organizations as well as by individual freelancers to remain on the cutting edge, gain greater depth of knowledge and skills in their specific areas, and expand their expertise into related fields. As virtual, independent workers faced with complex challenges, the ability to draw support from CoPs are going to be of paramount importance. Learning does not belong to individual persons, but to the various conversations of which we are a part. And we have to become comfortable holding such conversations in the online world. This perhaps tops it all. A willingness to keep stretching and moving beyond our comfort zones determine success in this network era. It is characterized by agility and adaptability in learning, in the ways we work, and avoiding the "this is the way it is done here" syndrome. It is signified by one's ability to question tacit assumptions and biases that keep us rooted to the past and make the past seem more attractive than the unknown future. It is marked by our ability to analyse and identify our own confirmation biases and tendencies of group think. It takes quite a bit of conscious effort and courage to give up the known, the stable, the comfortable for the unknown, the risky, the new. However, it is better to move ahead and face change than have it thrust on us as it will be by the disruptions and shifts facing us. 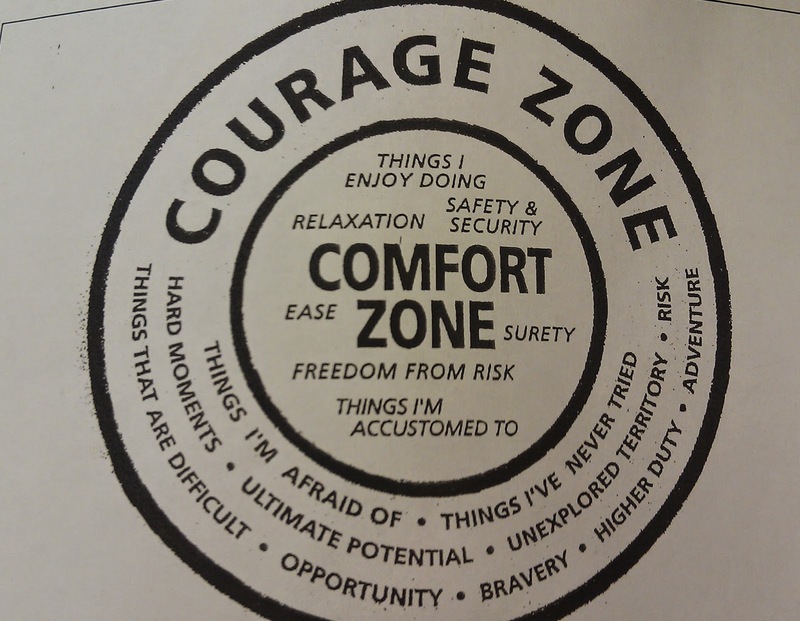 The diagram below describes it as stepping into our courage zone.